Photography has changed immensely over the years, and in the 21st century, the change seems to be faster than ever before. The team behind COOPH has created an interesting video where they suggest ten predictions about the future of photography. With the development this fast and versatile, we can probably expect a lot of dramatic changes in both near and far future. Instead of being the only option, film photography is a growing trend in the digital age. Carried by this tide, Lomography introduced another set of cameras for the film lovers – the Simple Use Film Camera. It’s a disposable camera, pre-loaded with 25mm film with 36 shots. You can take it everywhere, it fits inside your pocket, and returns you right back to the ‘90s. Since I finally jumped on the bandwagon and bought a Sony mirrorless camera (even after I said I wouldn’t), I have been looking at options to use my existing Nikon (and Sigma with Nikon mount) lenses with a Sony mirrorless camera. There are three main options available with the price ranging from under $100 to nearly $500 depending on the Sony mirrorless camera and Nikon lens combination you are trying to use. 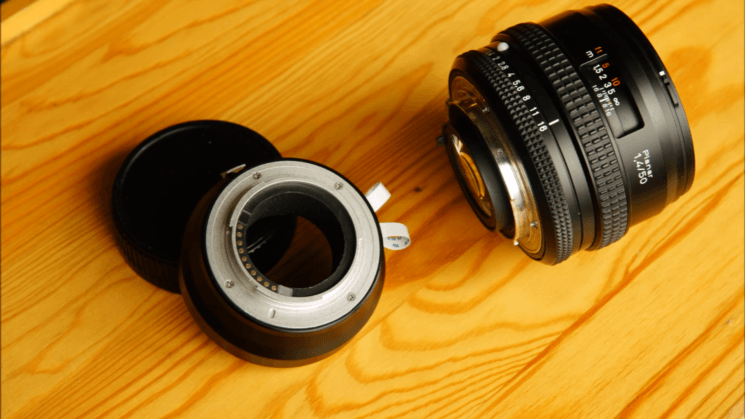 In this article I will look at three Nikon F to Sony E adapter options to use Nikon lenses (F and G type) with Sony mirrorless cameras (APS-C cropped sensor and full frame).